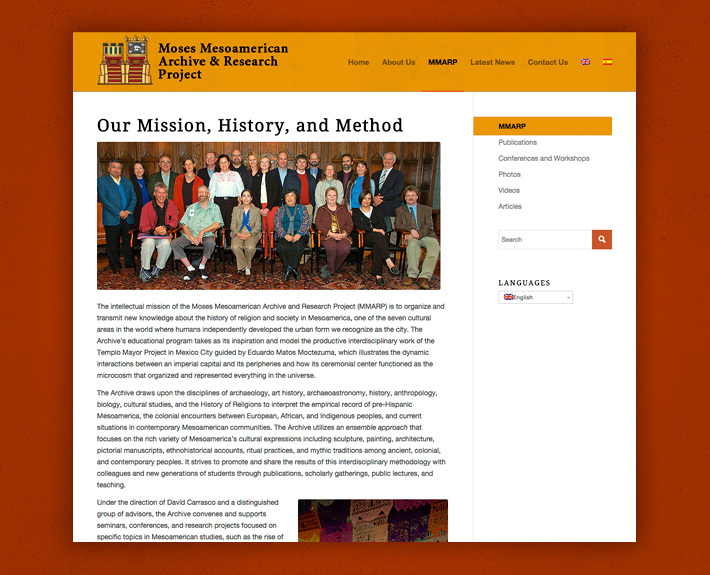 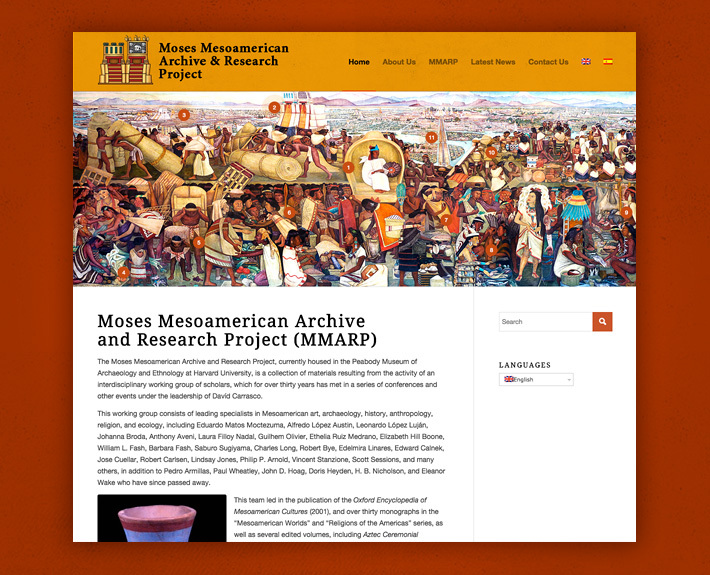 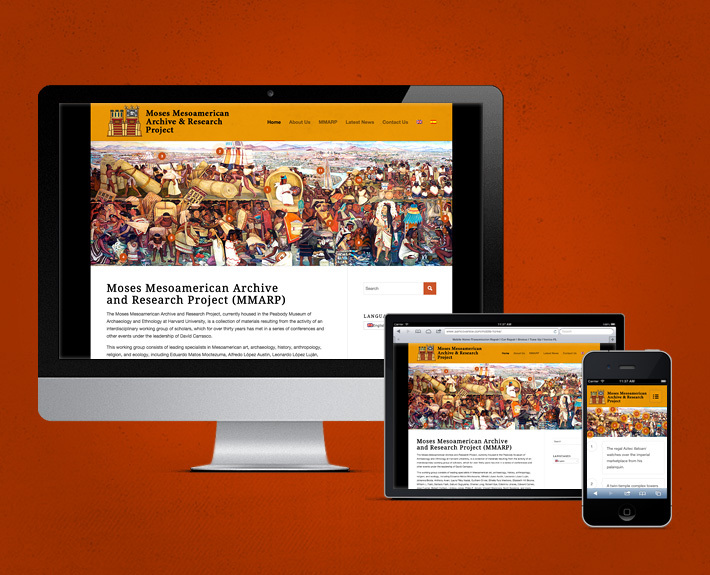 MMARP (Moses Mesoamerican Archive & Research Project) is a collaborative research group headed by Davíd Carrasco Ph.D. 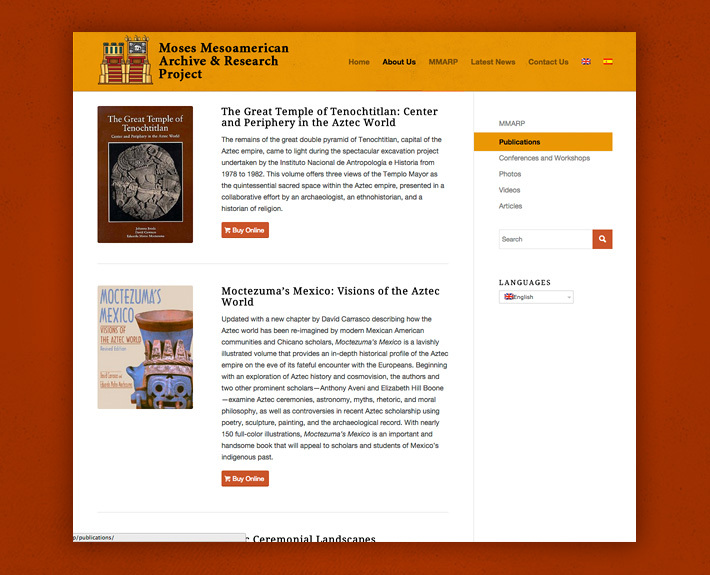 The group’s focus is to uncover new knowledge about the history of religion and society in ancient Mesoamerica. 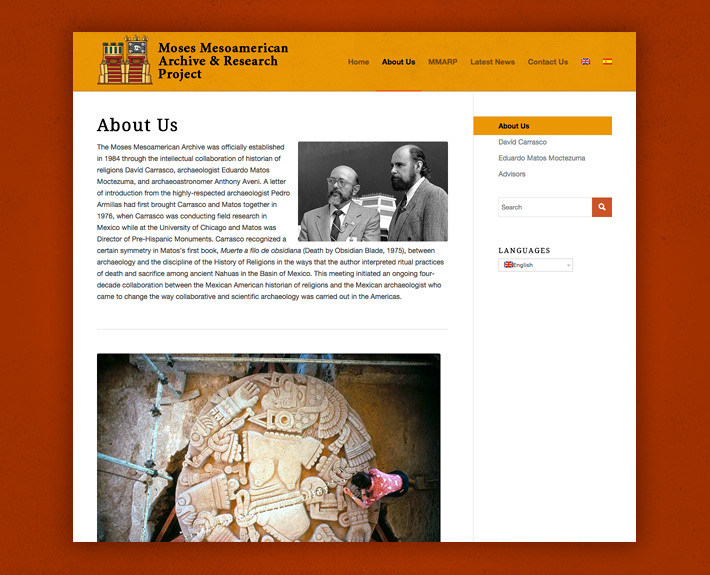 Our task involved creating a unique responsive website designed to be an educational resource for those interested in ancient Mesoamerican culture. 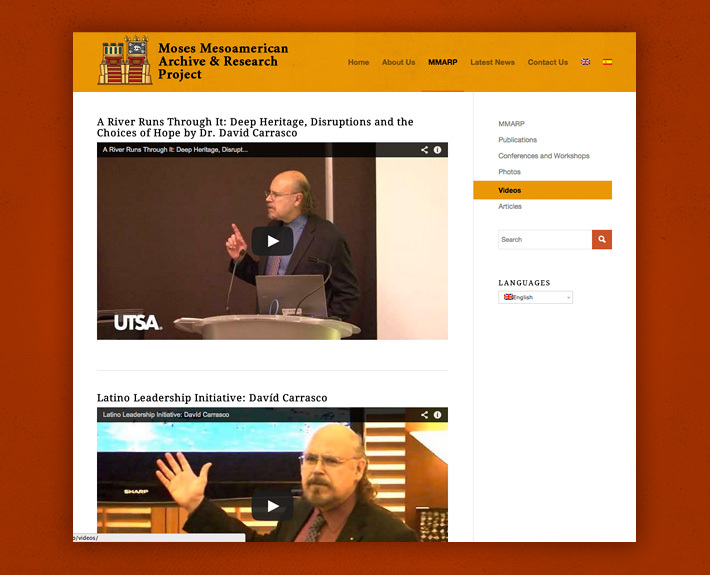 The site features WPML integration (translation software) that allows the site to be read in both English and Spanish. 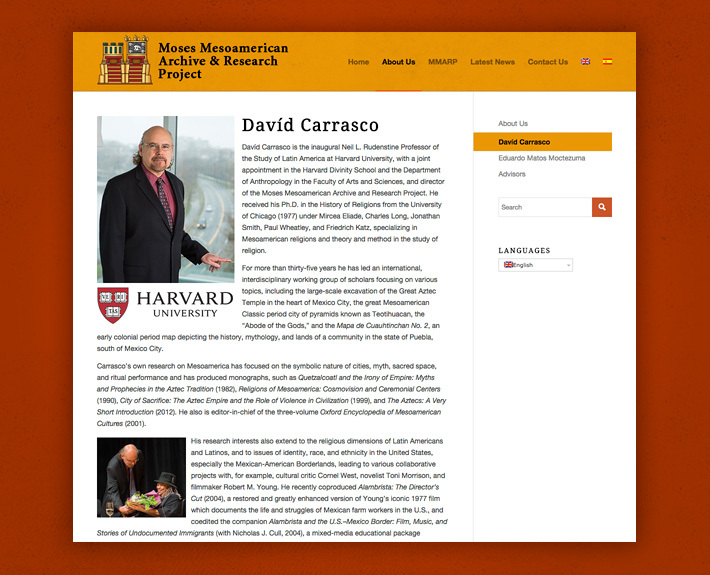 In addition this website also has several interactive features such as pop-up captions.